Four cows graze in a pasture behind a low stone wall. Hills are seen in the distance. Caption on reverse reads "A catskill region of mountain farms, where John Burroughs was born in 1837." 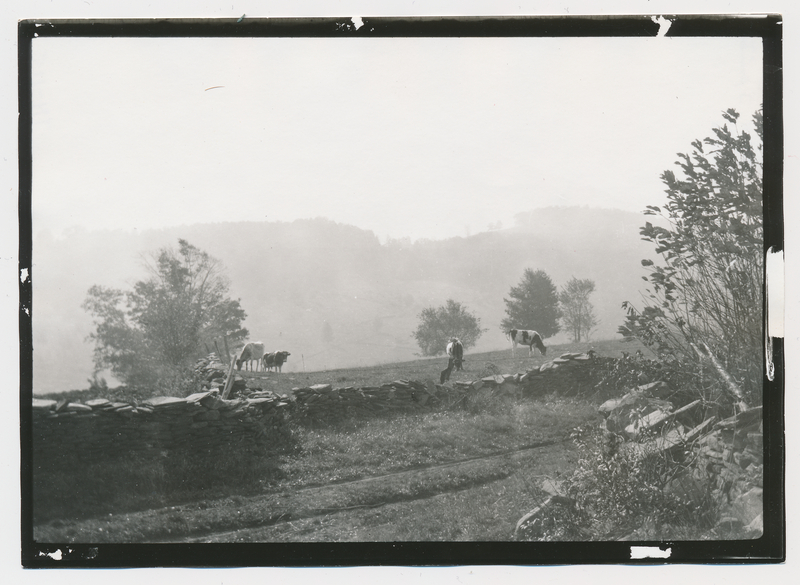 Johnson, Clifton, 1865-1940, “Cows graze by stone wall,” Digital Amherst, accessed April 24, 2019, http://digitalamherst.org/items/show/1861.